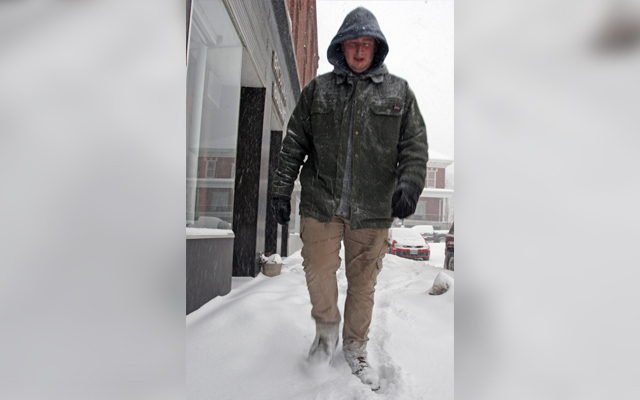 The meteorological fall, which is the three month period September through November, finished with below average temperatures but well above average snowfall across southern and eastern Maine, according to the National Weather Service in Caribou. CARIBOU, Maine — The meteorological fall, which is the three month period September through November, finished with below average temperatures but well above average snowfall across southern and eastern Maine, according to the National Weather Service in Caribou. The first cool snap brought frost to areas around Bangor on the morning of Sept. 9, and Houlton had three consecutive nights with a low of freezing or lower from Sept. 8 to Sept. 10. The low of 26 degrees at Caribou on Sept. 24 was the first sub-freezing temperature of the season. Then October was colder than typical with only six days during the month in Caribou and Bangor reaching at or above average temperatures, according to Mark Bloomer, meteorologist for the NWS in Caribou. At Bangor, the month finished as the second coldest behind November 1939, while also finishing as the fourth coldest in Houlton, the fifth coldest in Millinocket, and the ninth coldest at Caribou. The three month period from September to November also finished with above average precipitation. The first snow flurries of the season were observed at Caribou on Oct. 18 and at Bangor on Oct. 23. Some locations across northern Piscataquis County east into southern Aroostook County observed six to ten inches of snow on Oct. 24. Another event a few days later produced one to three inches of snow and sleet from Caribou north, and some locations received more than an inch of sleet, which is unusual in October. By the end of November, the snow depth was near a foot across far northern Maine with an inch on the ground at Bangor.